Integrated renewable energy systems. 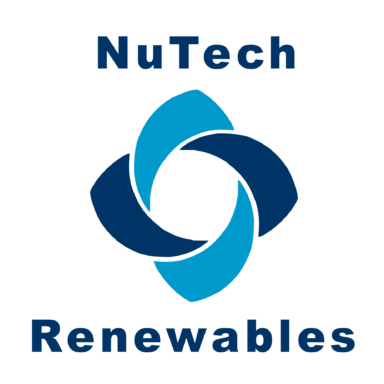 NuTech Renewables Ltd designs low energy heating systems for homes and businesses. 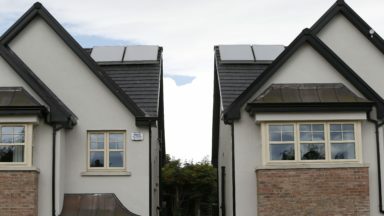 They supply and install green energy heating systems across Ireland and Northern Ireland. This can be in a new build or existing home. In an existing home savings of up to 70% on heating costs can be made by switching to a more efficient system designed and installed by us. NuTech will help you to find the best alternative green energy solution to suit your needs and your budget. They take the time to explain why it is the best solution for your needs. NuTech are experts in solar energy systems which lower bills. They know that homes are now more insulated, and air tight. So it is important to make sure they have enough ventilation. Ventilation Systems gives buildings the the right amount of fresh air, when they need it, and where this is useful.This lowers the amount of air that must be heated, cooled or dehumidified in a building.This saves energy and lowers bills. To heat your home you can use a green energy system. The more free or renewable energy you use, the lower the heating bill. 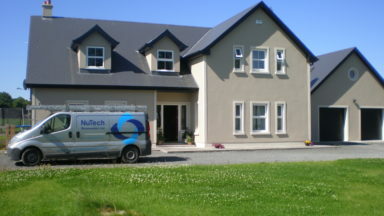 So NuTech use their patented solar assisted heating and ventilation system to reduce heating bills. This reduces home heating bills. This approach is has a proven history of award winning homes and projects. Integrated renewable energy systems Available. Biomass Heating Systems. wood pellet stoves. wood pellet boilers. wood burning stoves. Heat pumps. Air source heat pumps. Ground source (geothermal) heat pumps. Low energy Home. zero carbon House. Solar passive House. 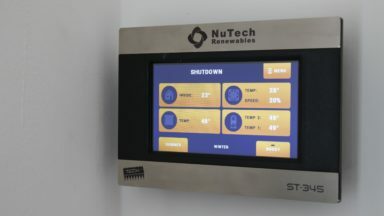 NuTech patented solar enhanced heating / ventilation. Solar Panel Solutions. Hot water heating/ solar thermal / . Electricity systems / Solar Photovoltaic. Underfloor Heating Systems. low energy radiators. Ventilation Systems. Demand Control Ventilation. Mechanical heat recovery ventilation. Positive Input Ventilation. Are you keen to reduce the annual cost of heating your home or business. contact us for a free consultation today! Team NuTech is lead by Bill Quigley and Mark Forkin. They are both professional engineers. They have worked in the field of renewable energy systems for over 30 years. The rest of the team are professional installers and support staff. Energy costs are rising. Now is the time to move to a green source of energy NuTech Renewables Ltd can give you details of loans and grant schemes available to help you achieve this.